They are intended to deter criminals, and now this. 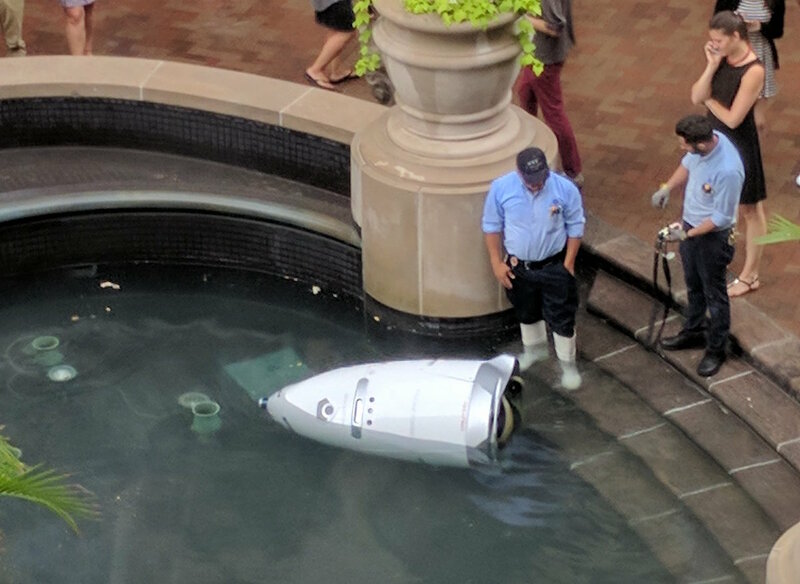 A security robot from startup KnightScope in Palo Alto apparently had enough of the musical selection in the office building in D.C. and drowned itself in a decorative fountain. Bilal Farooqui, founder of the healthcare startup CrystalMD, tweeted a picture of what seems to be a Knightscope K5, half drowned in the fountain. The picture suggest that it had tumbled down the stairs. The tasks of such K5s are to patrol an area such as a parking lot or a mall. They can read license plates, smell, and are the eyes and ears for security service. 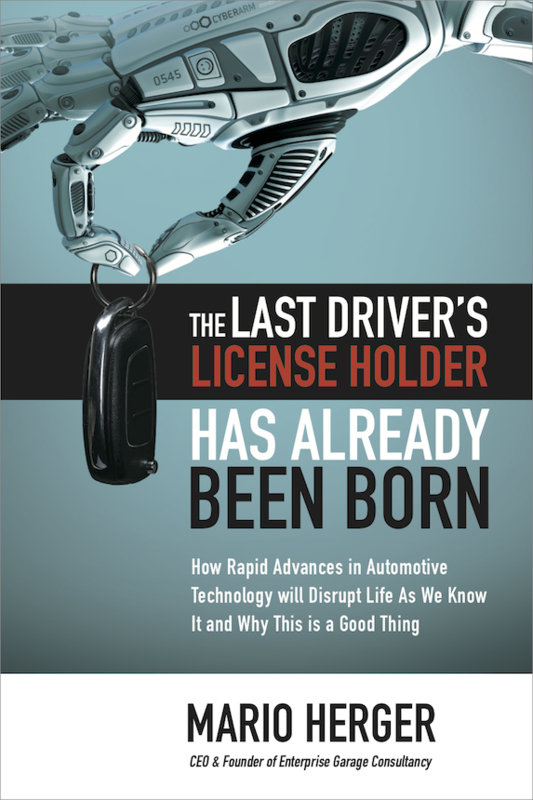 The robots are equipped with LIDAR, video cameras, thermal imaging, license plate recognition, microphones, GPS, and proximity sensors. With this they are meant to automatically detect ‘concerns’ or ‘threats’. K5 are currently being used by Microsoft in Mountain View and the Stanford Shopping Center.